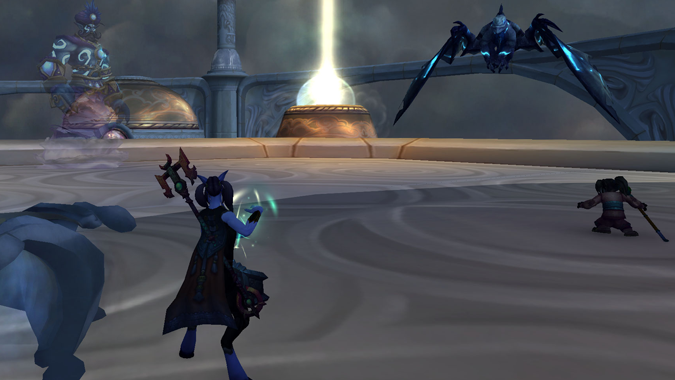 Thrown into the hype of Legion, who could neglect the questions about the artifact weapons? 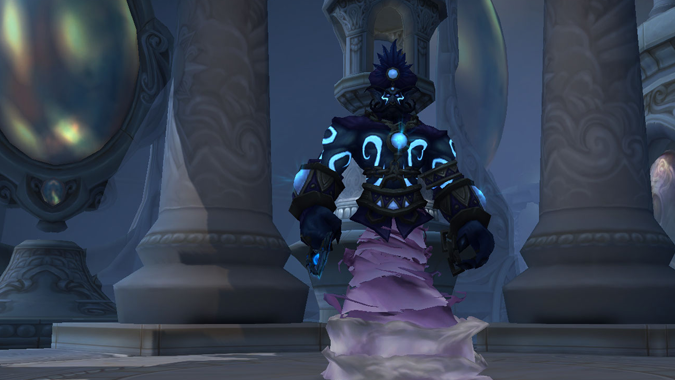 Having completed Sheilun, Staff of the Mists in our last installment, today we pursue a similar vein with Windwalker. Warning: Spoilers ahead. Click below to keep reading! 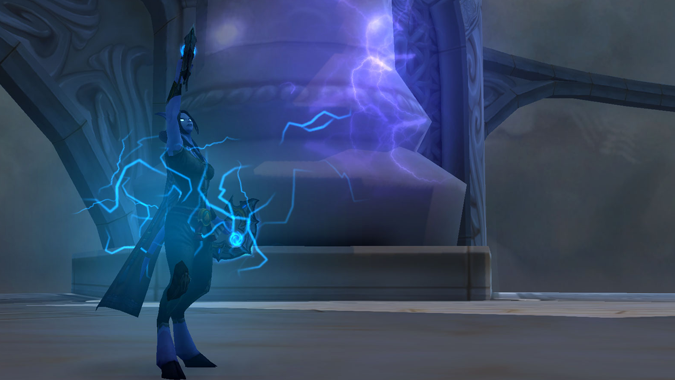 Similar to our Mistweaver brethren, we’ll now be joined by a familiar face – None other than Li Li Stormstout! Following the events at Peak of Serenity, I woke to find myself back on the Wandering Isle, at the very temple which myself and other Monks had made our original vows. Despite the nagging headache, I made my way down to The Laughing Crane. The pungent scent of Lao Shu’s best brews mingled with roast fish, and bubbling stews. 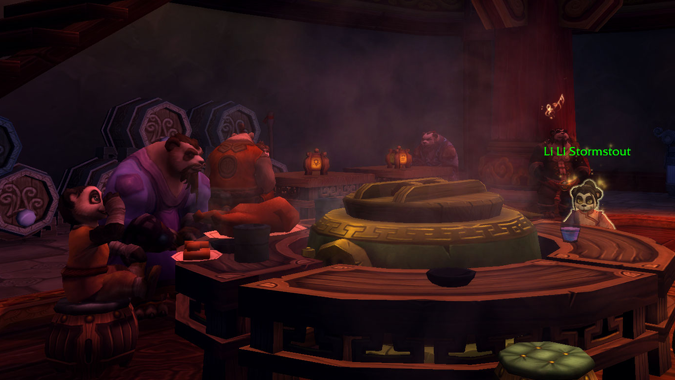 There — in the corner — I found Li Li enjoying a bit of lunch with her father and brother, Chon Po and Shisai Stormstout. “Augh!” she gasped. “Why did I think visiting Pop was going to be a good idea? 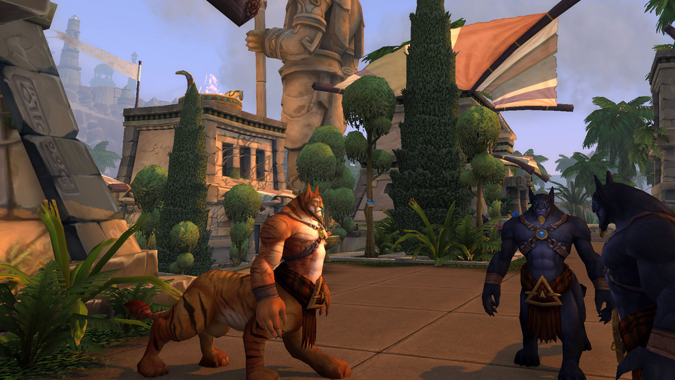 !” I bit back a small grin — small as she was, she could hardly ever hold back the vivacity I had grown to admire in our travels through Pandaria. She pushed the bangs out of her face and continued, telling me a tale she had overheard from another patron. I pressed her a bit — rumors had floated about a pair of mysterious blades endowed with ancient magics. The small face curled in a grin. Li Li had never been one to turn down an adventure. “Yeah! Let me think…” she scratched her head, and wiped a bit of sauce from her chin. 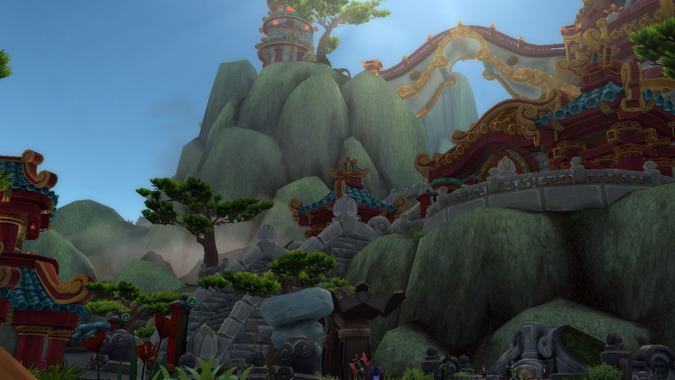 “We were in Booty Bay one night…” I grabbed a plate from Yi as he walked past, listening to her tale. And that’s when this tale changed — one conversation with a Tol’Vir that would now summon us to Uldum. “Take me with you!” she cried, as I gathered my things and donned my staff. First, a bit of backstory I learned from my conversation with Li Li. 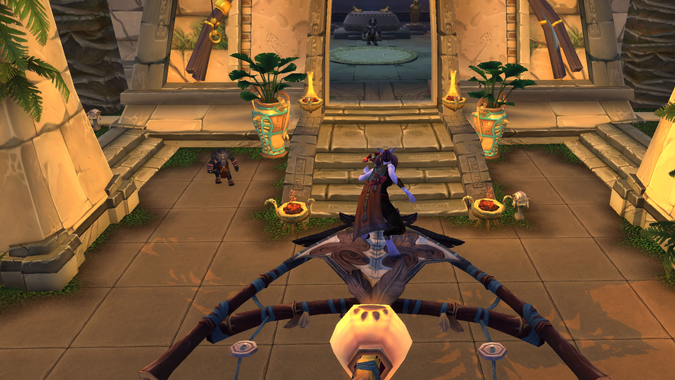 This Tol’vir place apparently appears much like a kitty box. (At least, this is what Li Li tells me — I find this relatively confusing, as Tol’vir are not druids). However, thousands of years ago a smith by the name of Imraat lived there. He became extremely popular for creating magical weapons that represented the air spirits dwelling there. The story continues to state that he attempted to summon the Lord of the Winds in order to imbue these weapons with the lord’s power. That, unfortunately, did not end so well. 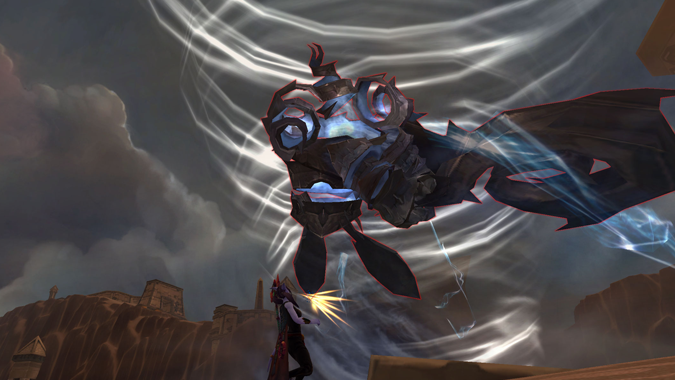 Filled with wrath at having been awoken, the wind lord decided to play a trick on Imraat. While he did imbue the weapons with the purest form of his essence, they were changed such that Imraat could not wield them. 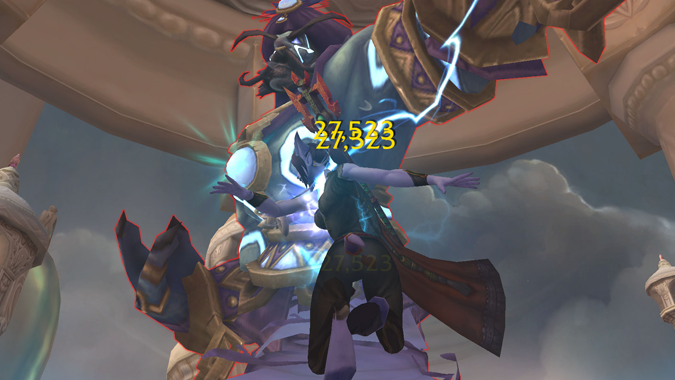 When the smith held them to the sky, proclaiming them to be the Fists of the Heavens, his mistakes became realized. Before he could act, a great vortex of sand swirled from the blades, scattering them and burying him and his home beneath the desert sands. Thus, Li Li and I knew exactly what to do. 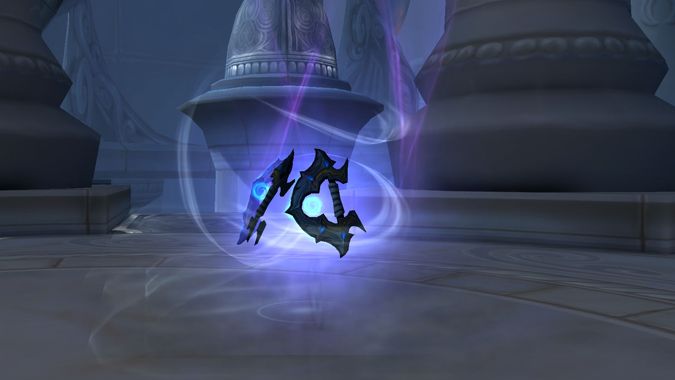 What else, other than to find these mythic blades. 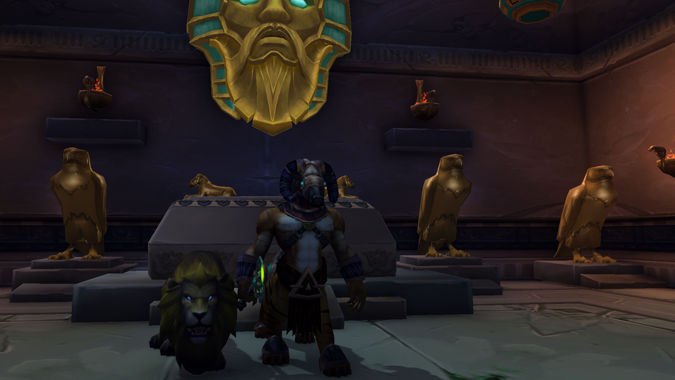 I found Li Li already distracted by the cat and king’s companion, Akhet. Having arrived somewhat earlier, she’d taken the time to speak with King Phaoris. After all — we would need his blessing in order to examine the great cat box that he ruled. And perhaps he might also be able to help us out. “Uh oh…” I muttered, hoping she couldn’t hear. But my first task — I had to defeat this Nader person, and search for clues. 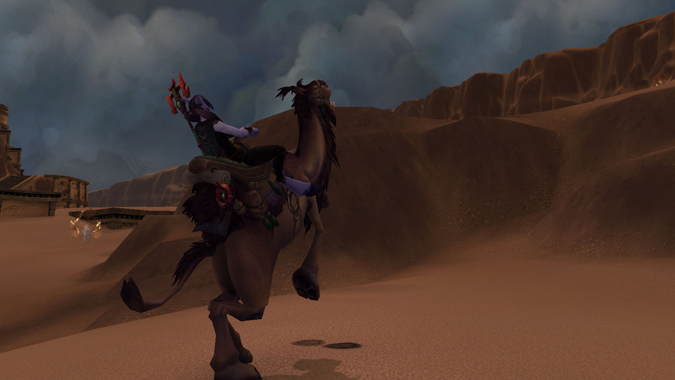 A friendly Tol’vir outside handed me one of their camels, and warned me she had a bit of a spirit. He called her “Shelby” – odd name, but on the other hand, I did find myself somewhat out of place with Bob, the Cloud Serpent I had raised from his very egg during my adventures in the Jade Forest. Upon approaching the storm, Shelby became a tad spooked. We pushed against winds, but her reluctance to move forward could only be referred to as… legendary. There, on the horizon! The air already hummed with electricity from the great storm brewing ahead. The winds swirled, throwing sand into my eyes like a thousand bees. Through the whirling vortex, Nader made himself known, shouting his allegiance to… to who? I left Shelly to her own devices — I needed speed! We rushed back to the city to see that the clouds had already begun to cover the land. Bob gracefully slipped through the sand as quickly as he could, dodging left and right to avoid the crashing of thunder and lightning. I gasped for breath as I presented myself to the king yet again with what I had found. “This stone is saturated with elemental power, possibly the remnant of the magic used against Irmaat!” he gasped, taken aback. The legends were true! Li Li broke her attention from Akhet for a moment. With the stone I had obtained, we summoned yet another whirlwind. This one, I somehow found a way to control. 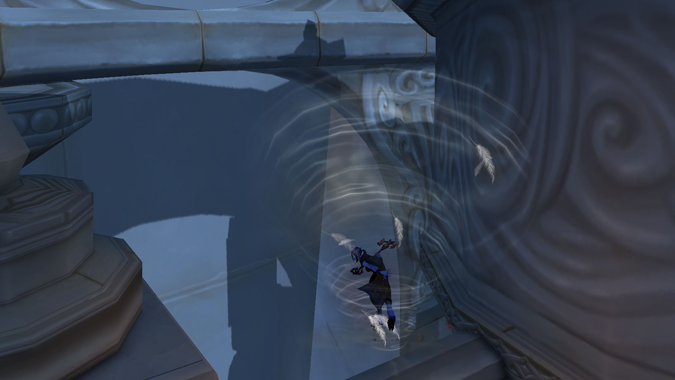 All I could hear was the rush of the wind in my ears, drowning out Li Li’s screams. With what power I could muster, I pushed my mind — pushed the vortex. We were greeted by a barrier of great winds. 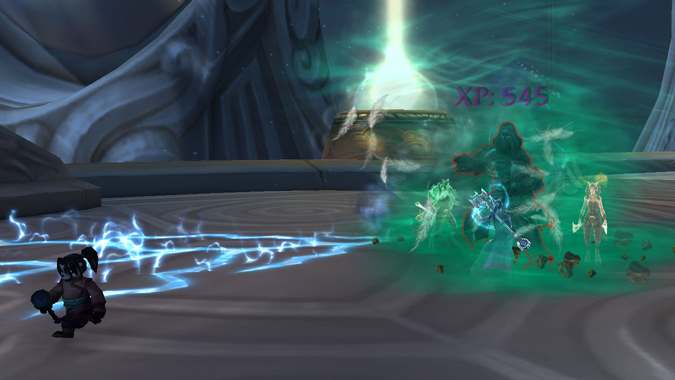 “Watch this!” Li Li cried, summoning a great jade wind that left them scattered. We rushed to the top, quick as we could — just to be greeted by Typhinius himself! He laughed, and the air crackled. I didn’t quite hear what he said, for before we could even catch our breath, his minions poured fourth to assault us. “Holy smokes! A dragon!” Li Li cried. I looked to they sky with dread. She certainly was not wrong. 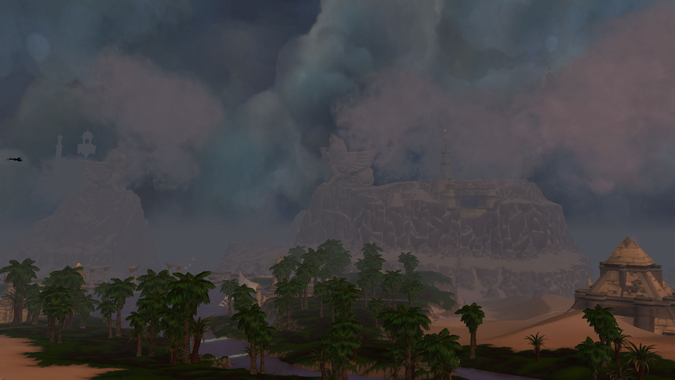 Zaurac, the great storm drake, lifted his head. I couldn’t quite understand what he meant, but then it became clear. In a careful bet, I launched myself upon his back. He roared, and rose into the sky. It seemed the storm drakes were none too happy with Typhinius, either. And so we arrived. Typhinius seemed a bit… shocked to see us. Not to be winded, I channeled my energy into avoiding the crackling whips he lashed, and dodged the tornadoes. I became so focused I barely even noticed when suddenly — the winds parted. “That was awesome!” Li Li yelled, running to join me. But then our attention drifted elsewhere, as another wind swirled into view. “Al’burq,” I whispered, instantly knowing the true name of these Fists of Heavens. A jolt of electricity filled my body, and their power echoed my mind. 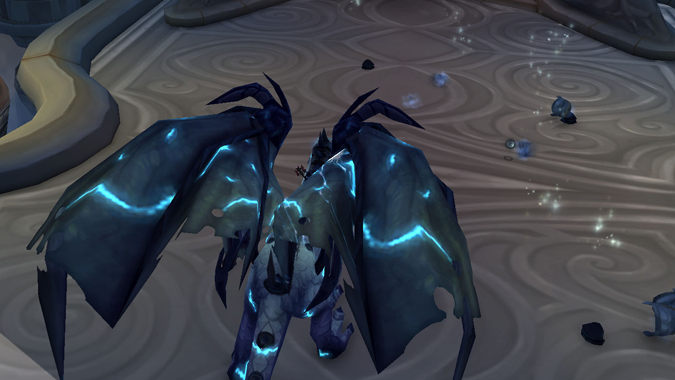 Surely, now, I would be able to face the Legion!